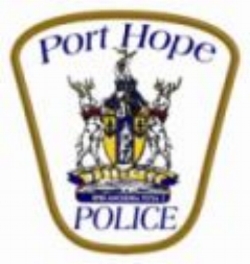 Port Hope Police responded to 115 calls for service since the 18th of September. A 50-year-old Port Hope man as fallen victim to the ongoing CRA fraud/scam. On the 21st of September he received a phone call from someone purporting to be from Canada Revenue Agency saying he was in arrears for back taxes. He was told to pay $2000.00 or a warrant for his arrest would be issued and he would go to jail. Unfortunately, the man complied with the demand and sent money via ITUNES cards. The man reported it to Police but the cards could not be recalled. Port Hope Police are warning citizens to be aware of this and other scams circulating in the area. The CRA does not call and threaten people with Jail for back taxes and they do not collect funds through ITUNE cards. A Port Hope woman was transported to Hospital by ambulance after being struck by a motor vehicle in the parking lot of Your Independent Grocer. On the 21st of September shortly before 3:30pm emergency services were dispatched to the accident. A police investigation revealed a vehicle driving northbound from Jocelyn Street collided into the pedestrian as she walked out on to the crosswalk from exiting the store. Police interviewed witnesses regarding the accident and the speed the vehicle was being driven in the parking lot. Police identified the driver as a 16-year-old youth. The passenger in the vehicle was charged with permitting a person with an improper license to operate a motor vehicle prior to them entering the parking lot. The woman was treated for minor injuries at NHH and released. Salmon Run River Patrols are continuing. Port Hope Police have logged over 90 hours along the river. This past weekend Police checked several licenses and issued offences under the Ontario Fish Regulation and Liquor License Act. Port Hope Police are reminding pet owners not to leave their pets in cars unattended. Port Hope Police have responded to calls of this nature during this latest hot weather spell. In all cases the pet, usually a dog, was in good health but with the current weather conditions leaving an animal in a vehicle even when the windows are down is not recommended. With this heat the internal temperature inside a vehicle increases rapidly.